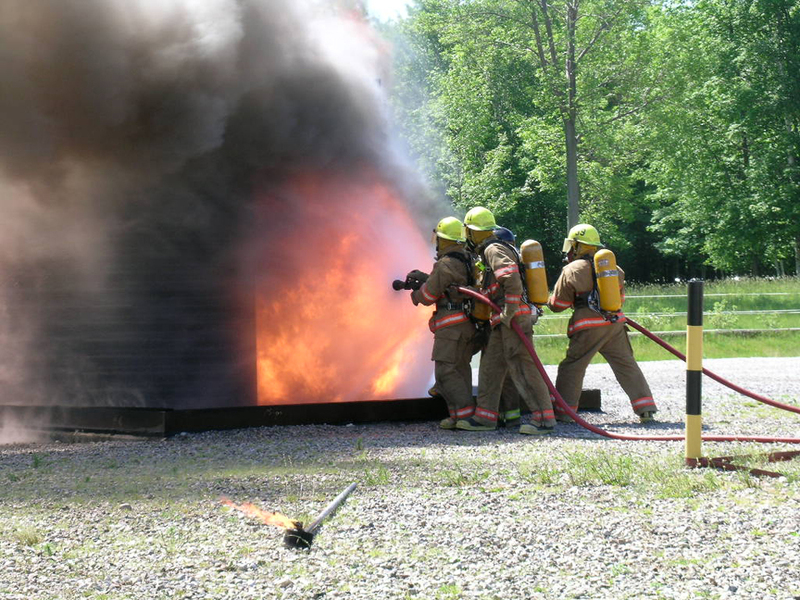 Bruce Power, a nuclear plant operator on the shores of Lake Huron, has a highly-skilled Emergency Response Team (ERT), trained to address many types of incidents. 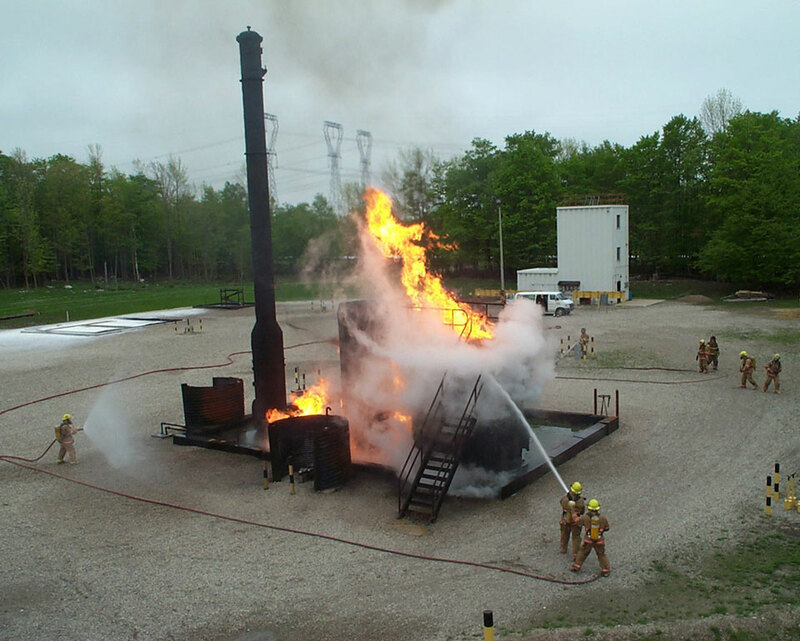 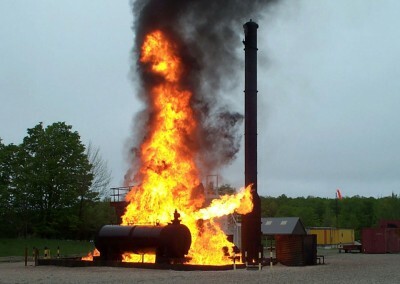 One such incident is fire – Bruce Power is required by its operating license to conduct live fire training and readiness exercises. 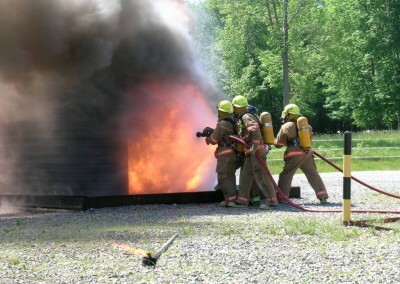 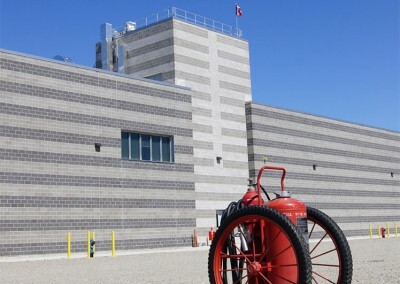 Accordingly, the new Bruce Fire Training Facility provides both indoor and outdoor live fire training, self-rescue training, physical assessment and related equipment storage for the Bruce Power ERT. 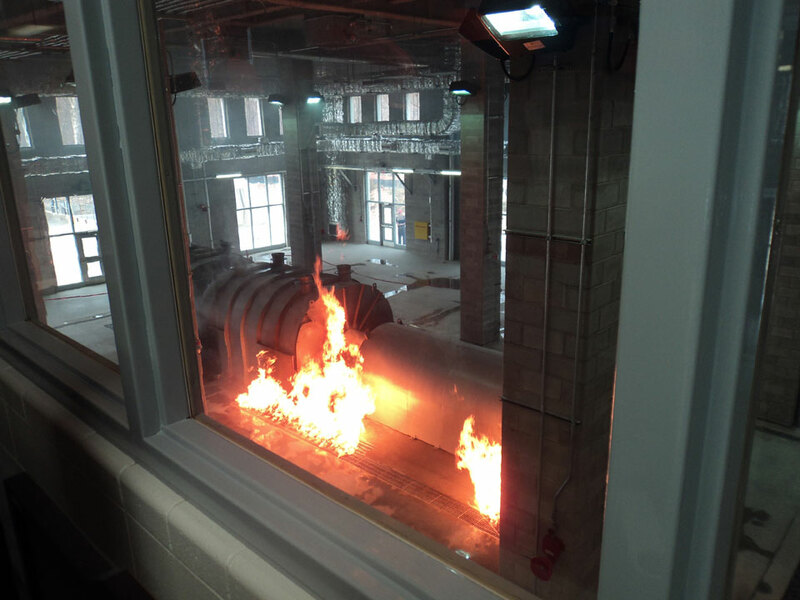 Live fire props simulate the primary anticipated fire situations, and include various building systems to support these environments. 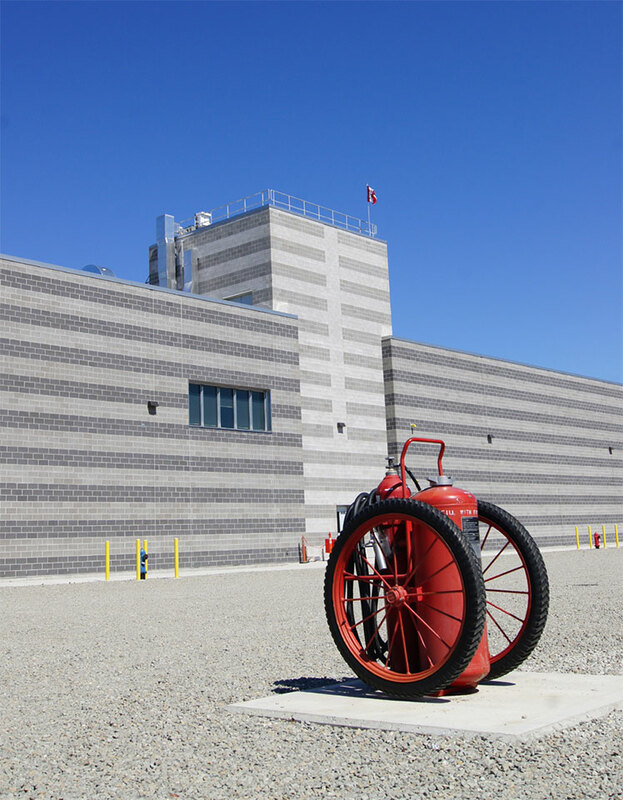 NA Engineering Associates Inc. was engaged as the prime consultant by Bruce Power to undertake the conceptual, preliminary and detailed design of a new ~28,000 sq. 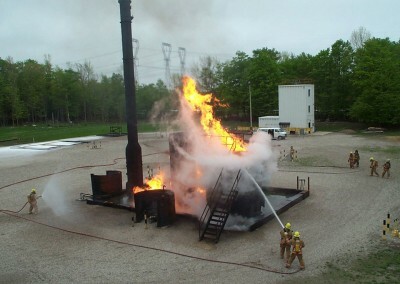 ft., Fire Training Facility. 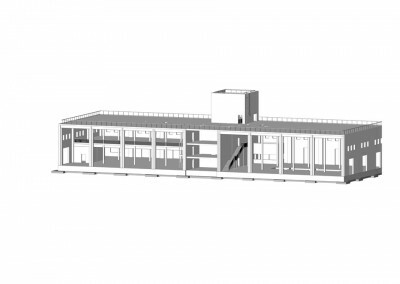 NAE completed the design work for the structural, mechanical, electrical and civil / municipal disciplines. 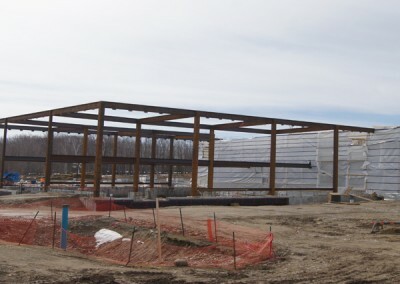 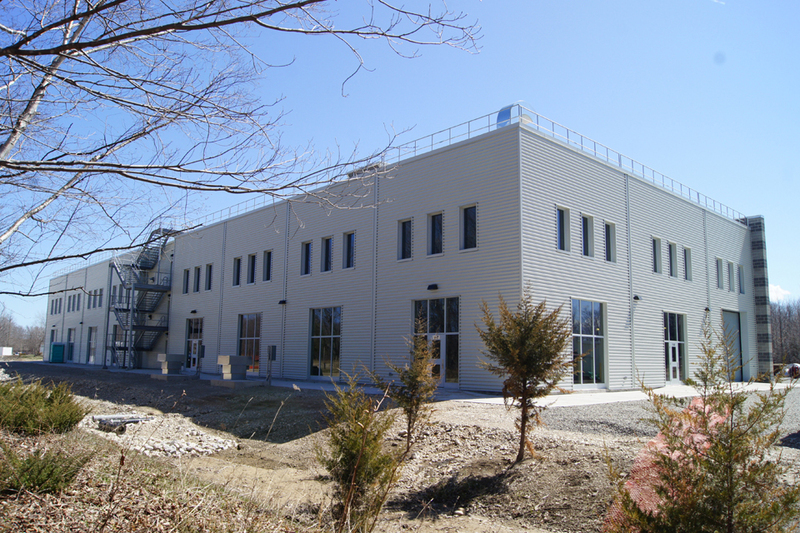 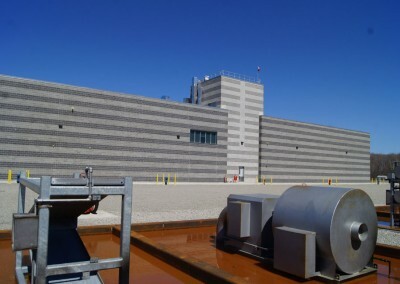 A team of experts were assembled by NAE which included Nicholson Sheffield Architects Inc. (architectural), and Gamsby & Mannerow Engineers (waste water treatment). 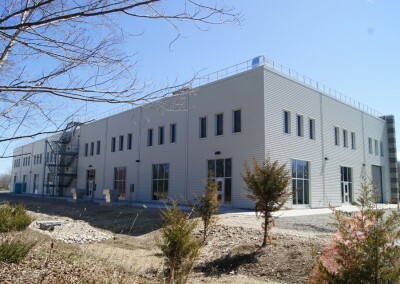 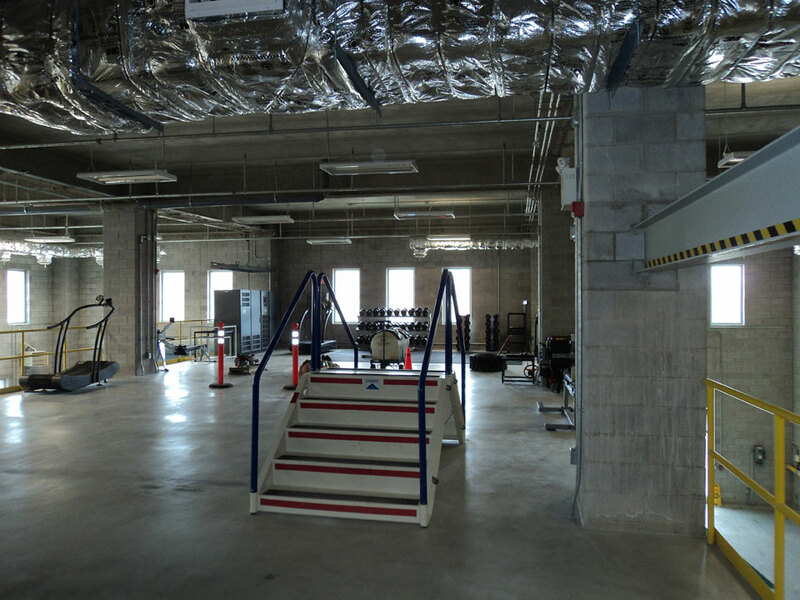 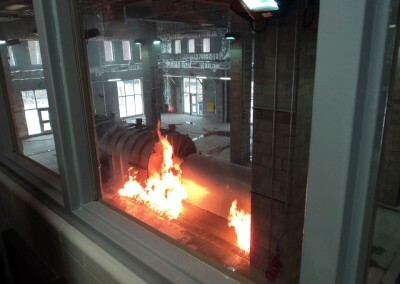 The facility was designed and constructed to address the unique demands of this program, including effectively withstanding and removing the continuous heat, flame, smoke and fire fighting water deluge from repeated training sessions. 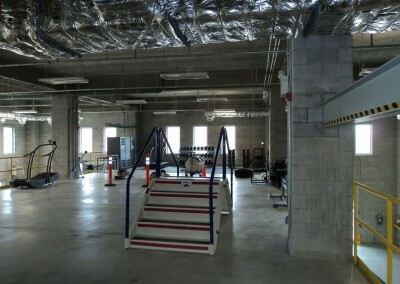 Mechanical systems and services within the facility include heating, cooling, ventilation, plumbing , fuels, and industrial water. 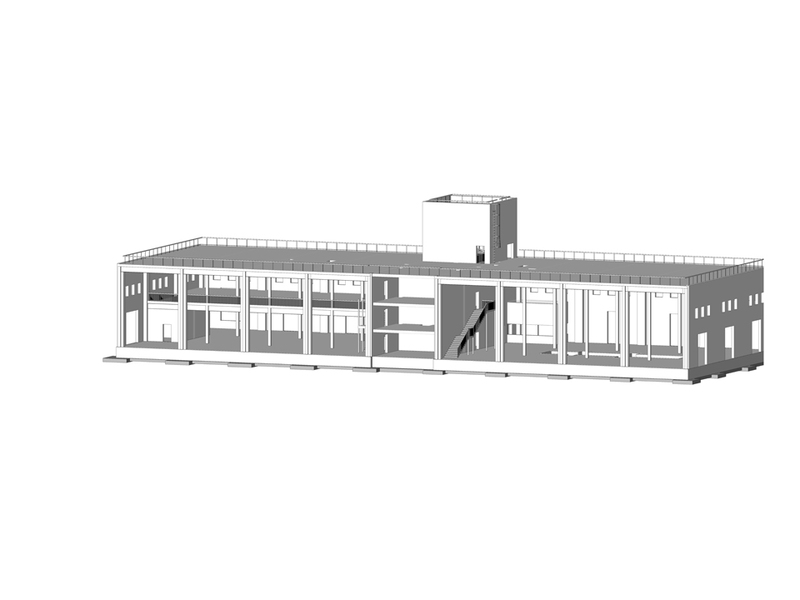 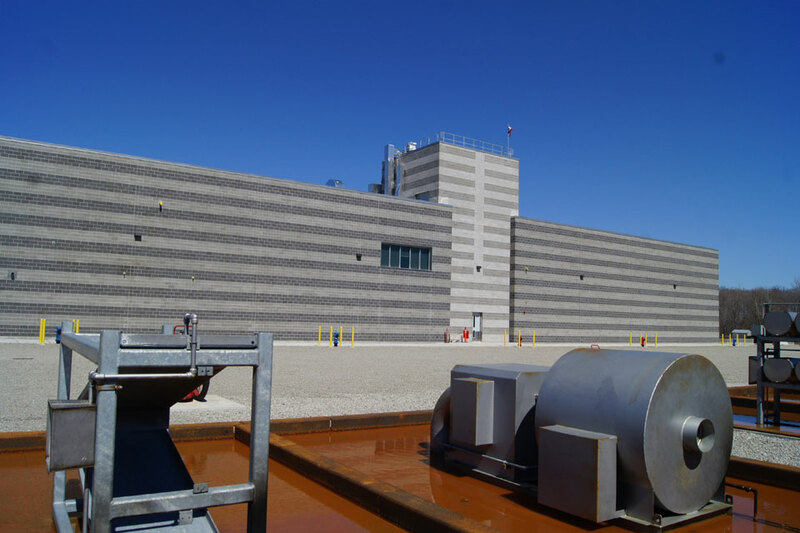 Sizing and design of all services involved a detailed study of the facility’s demands after detailed coordination with client, end users, and equipment suppliers. 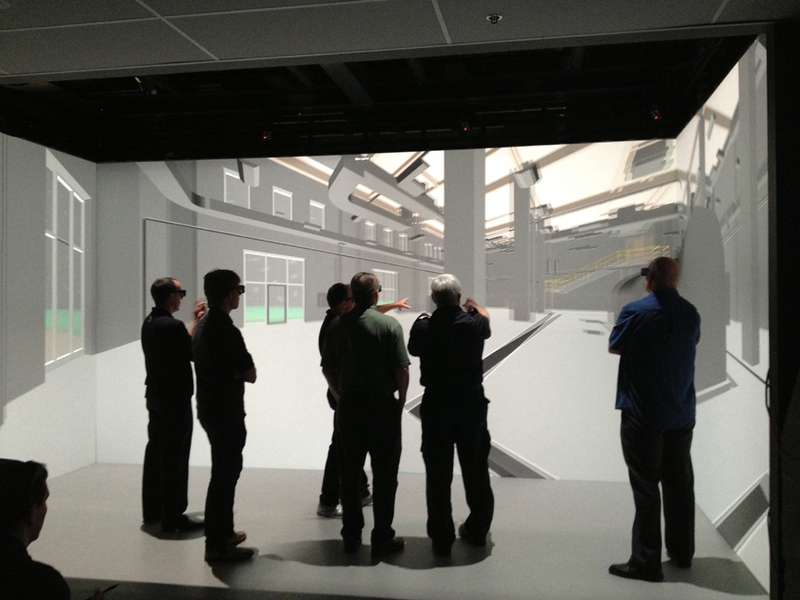 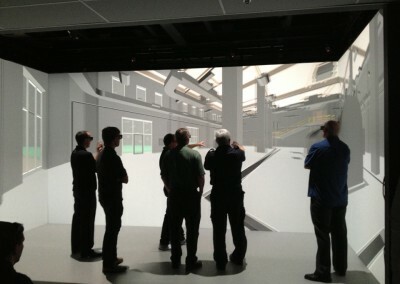 Advanced 3D modelling techniques were implemented and real time 3D walkthroughs were conducted by the design team and stakeholders to ensure that all aspects of the design intent had been met, including intricate interactions such as site lines from control facilities. 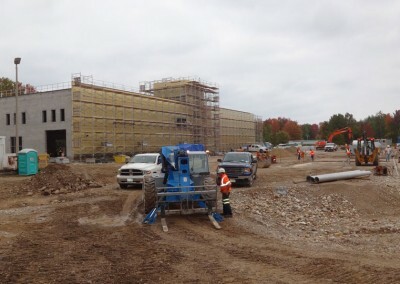 Construction commenced in 2014 with NAE undertaking construction administration activities through the life of the construction including full time site supervision, preparation of field change documents, liaison with Bruce Power and the general contractor, preparation of master equipment lists, review and attend commissioning activities, reviewing shop drawings, preparing Design Manuals and assisting Bruce Power with the day to day activities of a very bus construction island project. 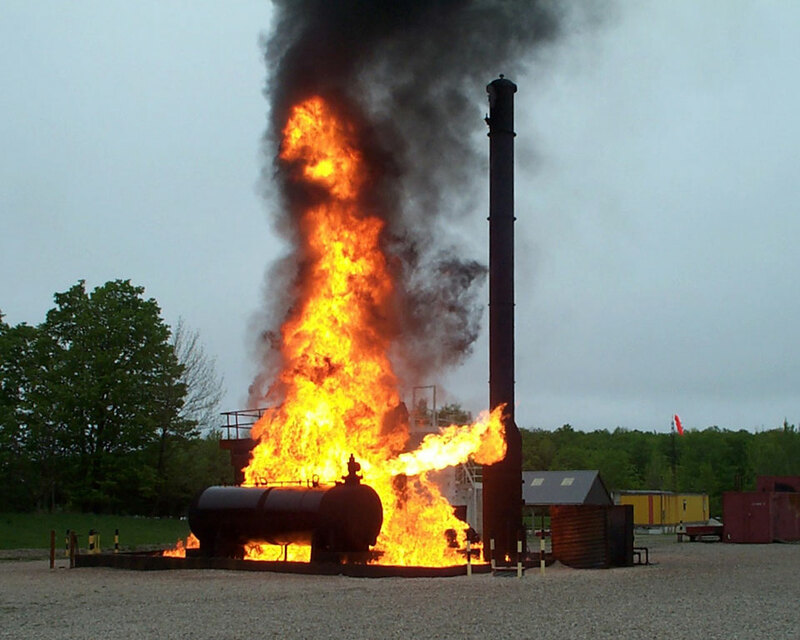 NA Engineering Associates Inc. also prepared expression of interest documents to establish capabilities of gas prop vendors to ensure the most qualified vendor was selected for this high profile project. 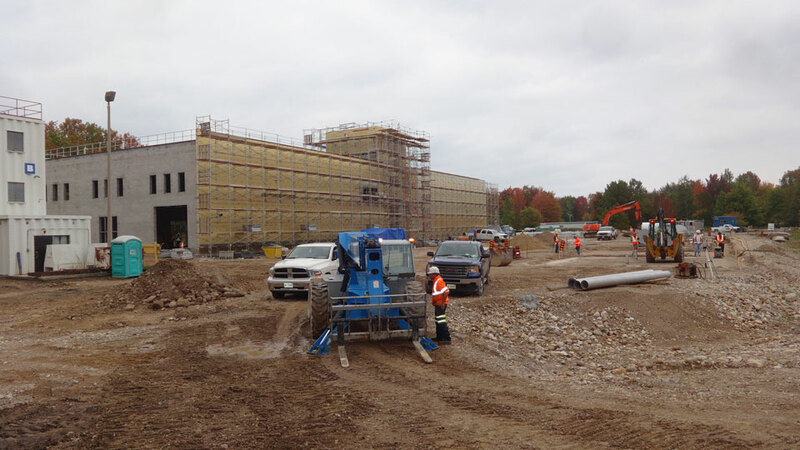 Finished in Spring of 2015 Bruce Power has deemed this project as one of the most successful projects they have undertaken in Bruce Power in terms of overall performance, schedule adherence and conformance to scope.